Resource Description: Since gaining independence in 1966, Botswana has served as an example of development success—experiencing high economic growth and progressing to a middle-income country classification. Throughout this process, the private sector presence in Botswana has remained small while the government has grown to become the dominant player in the economy and the country’s main employer. With the national Privatisation Policy of 2000, the government began implementing a broad set of reforms to diversify the economy, address the volatility of its two main sources of domestic revenue, cattle and diamonds, and increase the efficiency of the public sector. While privatisation is a national policy, its uptake within the government has been slow. 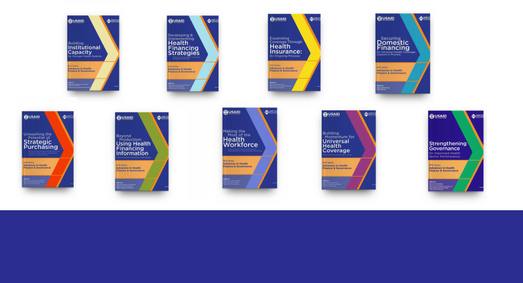 15 years after the policy was enacted, the Ministry of Health (MoH) has designed and implemented a number of outsourcing agreements for nonclinical services at seven regional and district hospitals in the country. These nonclinical services include cleaning, laundry, security, grounds, and porter services. Food service is expected to be outsourced in a few facilities in the near future. 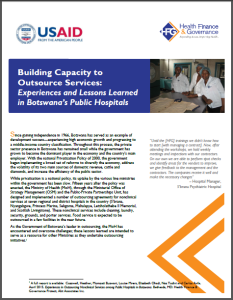 As the Government of Botswana’s leader in outsourcing, the MoH has encountered and overcome challenges; these lessons learned are intended to serve as a resource for other Ministries as they undertake outsourcing initiatives.